Portada » Uncategorized » Wake up with no puffiness in you eye area! Wake up with no puffiness in you eye area! I hope you all are having a great and productive week, so far and, ready to look your best this weekend! 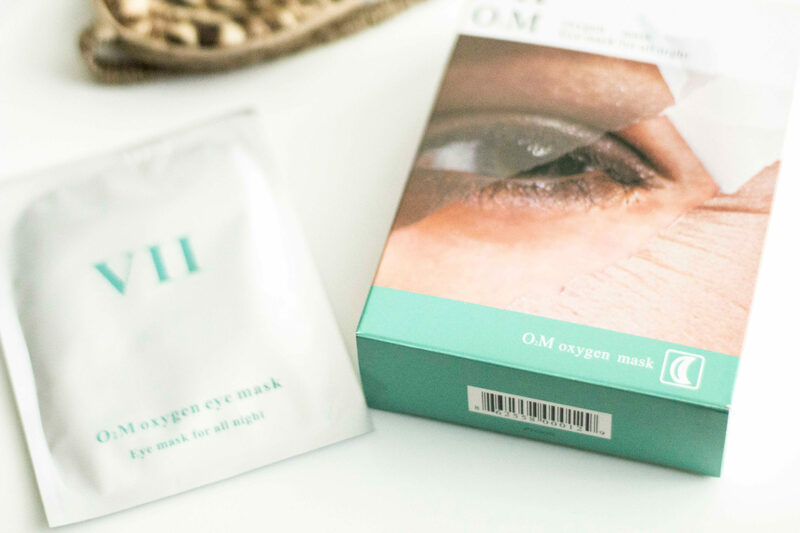 Well, I happen to have an amazing product recommendation for your eyes: VII O2M Oxygen Eye Mask. I’ve always had dark circles and, my eye bags are genetic, so the only real cure for those is surgery, but frankly, I don’t think I’m ready yet to do it. That is why I’m quite obsessed with eye masks, eye serums, eye creams and everything that can help me to smooth that “tired look” that both dark circles and puffiness give me. I must admit I’m quite a skeptic though about “magical, instant, unprecedented results,” that some brands I don’t know claim whenever they want you to buy their products. Even though I didn’t know about VII code, I browsed and learned that this brand has a strong heritage in skincare back to the 18 Century mainly to keep it ageless. So, when the brand proposed to do a sponsored product review, I was eager to try to try the VII code Oxygen Mask and, obviously share my experience with you all of you on a dedicated post. What I loved from the first VII code O2M Oxygen eye mask I used was that it stayed in place all night and didn’t bother me at all. I was a bit curious, but I also knew that it takes 8 hours to see the results, so I just went to bed thinking only about a good night sleep. Also, the mask is super refreshing and nice to sleep with it. When I woke up, I went to the mirror and carefully removed each eye mask. Frankly, I was impressed with the results; my dark circles were lighter than usual, fine lines were softer, and my eye bags were not as swollen as they usually are when I wake up. The best was that the results lasted all day long, which is something I value since like the day passes you keep looking good, and that is what we’re always looking for, don’t you agree? On the other hand, when you see the ingredients of the VII code Oxygen mask, you know that all of them are going to nurture your delicate eye area. The formula contains glycerin, peptides, allantoin, aloe, Vitamin E, citric acid, among other well-known substances that benefit the skin. The box VII code sent me contained six pairs of jelly eye masks, and sadly I have just one left which I’m keeping to use the night before my next photo shoot. But I’m also planning to buy some because these eye masks are a must for my weekly night beauty routine. I’m sure that using them for some time will help me look more refreshed and my eyes brighter. Do you also have problems with dark circles and puffiness? Well, you are lucky if you want to try this nurturing gel eye masks, because VII code also offered me a $5 discount for my readers, and I’ll be happy if you can benefit from it! For $5 off site-wide ends 5/20/2018, here’s the link: VII Code O2M Discount. Even though VII code has sponsored this post, my opinions are 100% my own. Even though this is a sponsored post my opinion is 100% honest. Previous Post Carmen Borja is Couture for your Home! Thank you for visiting Mi Camisa Blanca. My name is Chuky Reyna, and Mi Camisa Blanca is my personal blog, where I share everything I'm passionate about, as well as my vision of how to lead a stylish life. For mi, everything starts with white, since it is like a blank canvas where possibilities are endless. A white shirt is that ageless staple that will always make you look chic. A white background is perfect for unleashing all your creative potential.